The latest women’s and men’s fashion and accessories for every occasion. From everyday casuals to smart styles for work as well as essential trends and stylish party dresses. excellent value in food, fashion and homewares and a Bureau De Change offering great rates and 0% commission. 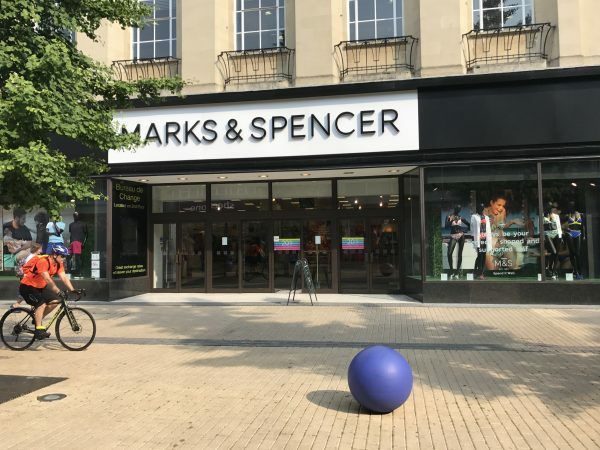 When you visit Marks and Spencer in Broadmead you can drop off any unwanted clothes (not just those that are from M&S), simply put them into one of their ‘Shwop Drop’ bins and tell the customer assistant at the nearest till who will reward you with Sparks points.